If you've been wondering why Prince Harry makes great royalty, one of the many reasons is because he's an animal activist. I mean, Prince William's younger brother even missed Princess Charlotte's christening to help save rhinos. When it comes to keeping his word and helping the environment, Harry is beyond dedicated. For example, on Friday, Aug. 7, Prince Harry helped baby rhinos at the Khulula Care for Wild, a rhino conservation site in South Africa. Before you ask, yes, photos (that are super adorable) have now been released to prove it. Friday was probably one of the most exciting days ever for Khulula Care for Wild, as the project received a visit by none other than HRH Prince Harry! He spent the better part of the day with the team, learning about the amazing work that the project does in saving orphaned rhino. 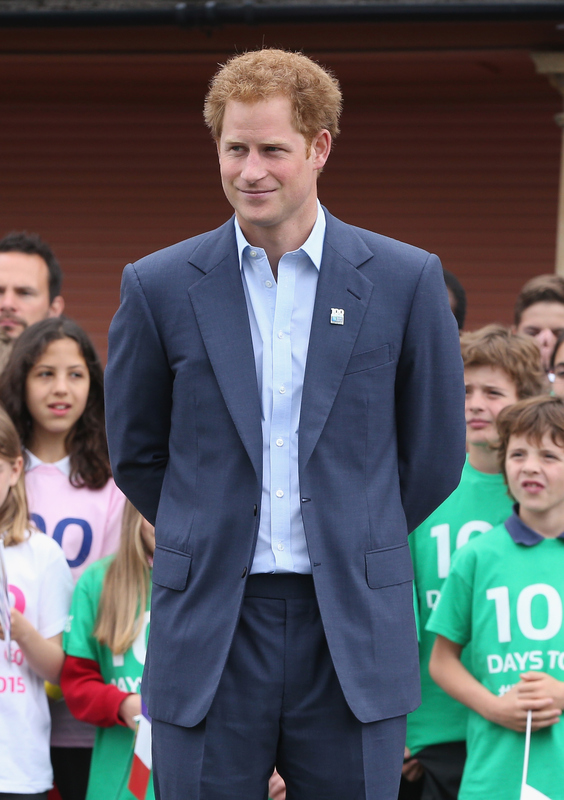 Thank you, Prince Harry, for giving your time and voice to raising awareness for rhino conservation! Harry and Earl Grosvenor, Prince George's godfather, met three adolescent rhinos named Mia, Manje, and Venus. Oh, and it gets better. Apparently, they also both prepared a mud bath for the two biggest rhinos. I need to see that, stat. For me, it's three months of hard grafting, working with animals. To actually get the chance to embed myself with the top vet in southern Africa, travel with him for three weeks and every job he gets called up to do. That's like my dream. Well, it definitely looks like Prince Harry is living his dream and I applaud him for his efforts. To learn more about the African Experience Conservation, be sure to visit their official website.